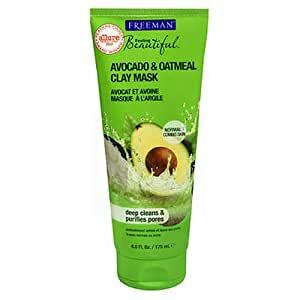 Freeman Feeling Beautiful Avocado + Oatmeal Clay Mask is an award-winning mask that helps nourish and purify skin! Rich Clays dive deep to purge dirt and oils from pores. Avocado, Oatmeal and Vitamin E help moisturize for lasting skin softness. Perfect for normal to combination skin. Directions: Apply mask to face and neck, avoiding contact with eyes. Leave on 7-10 minutes or until dry. Rinse with warm water. Use twice a week or as often as needed. Feeling Beautiful is the mask expert since 1976. Inspired by nature, at a good value, with efficacious and quality formulas with immediate benefits you can achieve at home. A full range of naturally derived facial masks that you can customize to fit your specific skin care needs. Not tested on animals, Made in the U.S.A.
3.0 out of 5 starsMakes you look foolish answering the door. I really don't know it does anything quite honestly. Excellent facemask that leaves your slin silky smooth! I have bad reactions to almost everything. Pleasantly surprised. 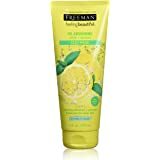 This is a lovey affordable product.